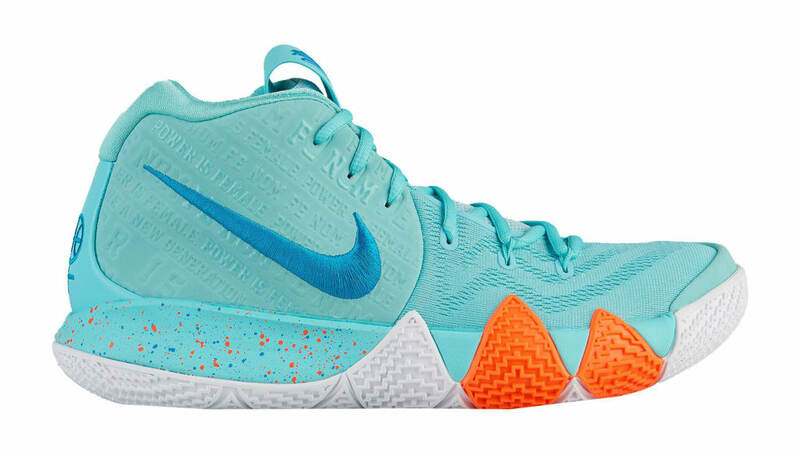 Nike Nike Kyrie 4 "Power Is Female"
A showing of solidarity with women, the "Power Is Female" Nike Kyrie 4 features an aqua base, turquoise logo hits and Swoosh embroidery, a speckled midsole and sections of orange on the outsole. Basketball-inspired female symbols adorn the heel. Release date is May 30, 2018 at a retail price of $120. News Nike Kyrie 4 "Power Is Female"